I’d been planning this ride for months, maybe even more than a year. 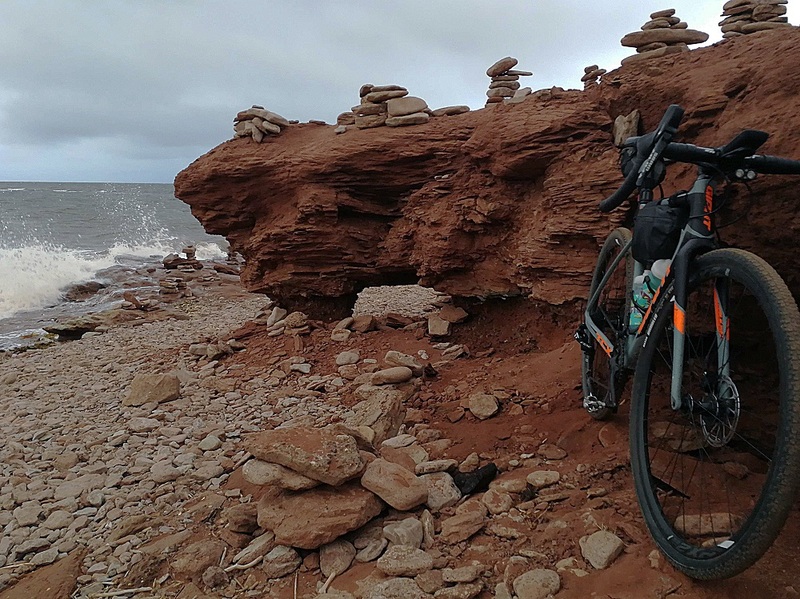 As soon as my in-laws said they were renting a cottage on Prince Edward Island and they wanted the whole family to join them, I started to explore epic rides on the island. 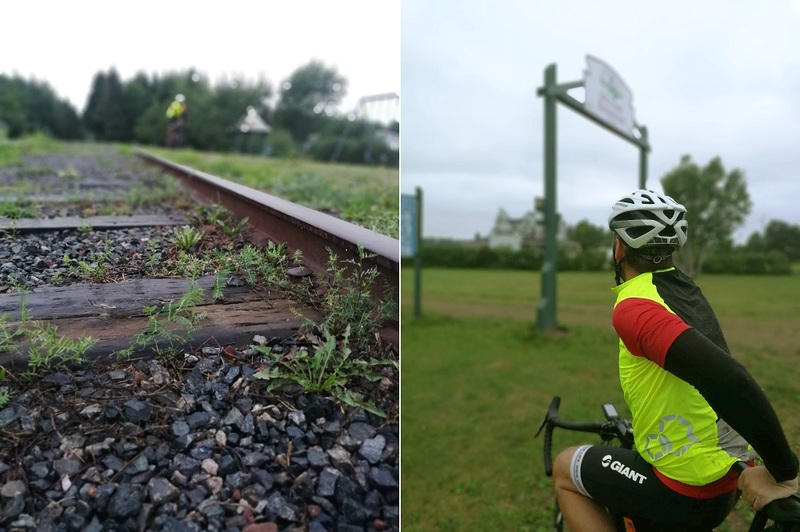 Prince Edward Island is home to the Confederation Trail, a network of over 435km of hard packed, double wide, former railway routes. I chose the core section taking me from the North Cape to East Point. The morning of the ride, my wife, Karen (an amazing photographer) and I set out at 4:30 in the morning for the North Cape lighthouse. 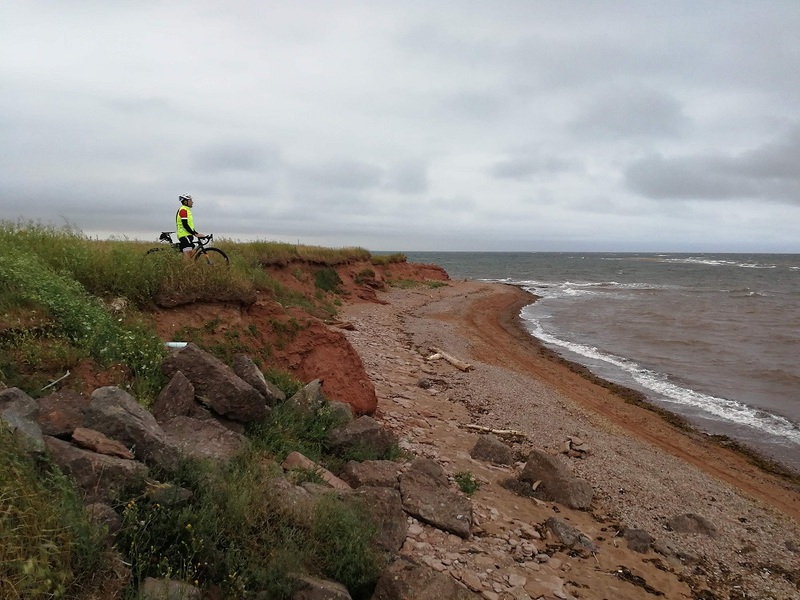 Technically, the trail begins in nearby Tignish, but I wanted to dip my wheel in the ocean at either end of my ride. We arrived at the lighthouse about 6:20 am and were greeted with strong sea winds and heavy clouds which were threatening rain. Quite honestly, I chose the worst weather day of our entire trip to tackle my ride. Heavy rain, lots of cloud and wind was in the forecast. We headed to the ocean and red sand cliffs for some pre-ride photographs. The only other person in sight was a man on the beach harvesting seaweed. 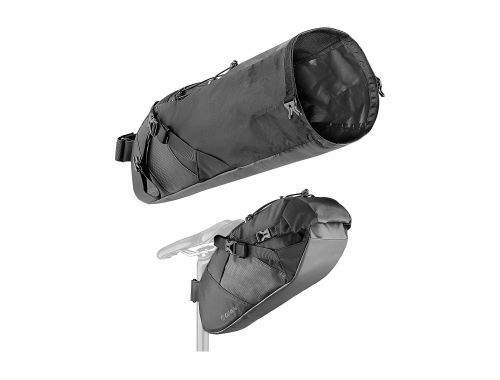 With photos and video complete, I set out at 7 am and as soon as I hit my first pedal stroke, the light rain started. 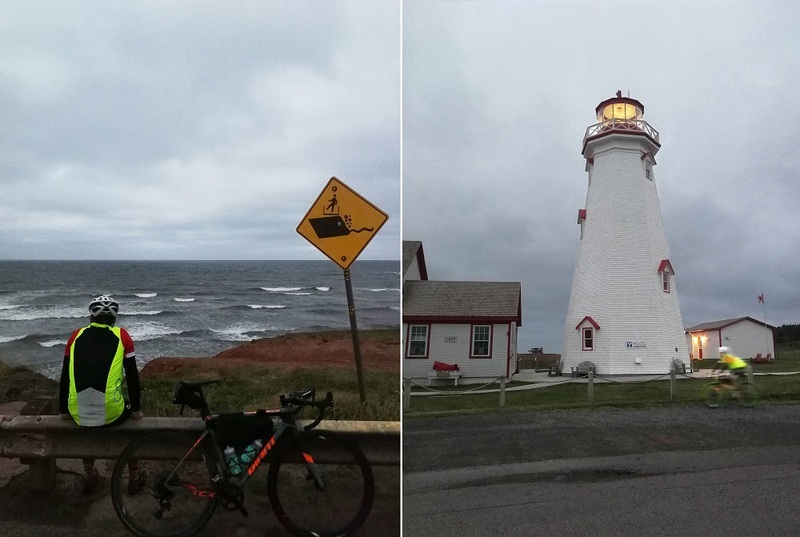 Thankfully, those strong sea winds I mentioned, were a tailwind and I breezed (literally) to the official start of the trail in Tignish. I took a few minutes to photograph the start of the trail, then I was off. 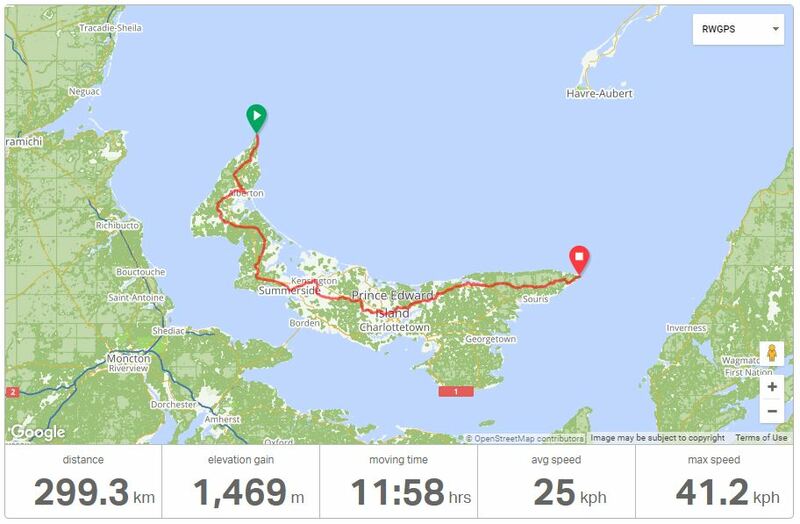 In contrast to the scenic views of the North Cape, most of the next part of the trail is somewhat monotonous and similar to trails back home. 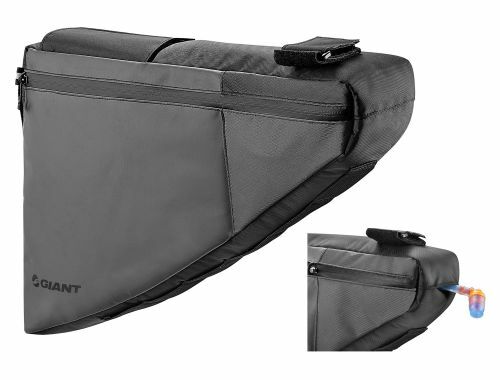 As the light rain started to intensify, my awesome tailwind had quickly turned into a strong crosswind. And let me tell you, wind off the ocean is so much different than what I was used to. It’s punchy and inconsistent and not at all welcome on a long ride, but it does make for a better story - although a slower one. All I saw for km after km was a tunnel of trees, lots of gates to manoeuvre through, and red gravel. About 2 hours in, I came across a picnic shelter and decided I needed a quick nature break. I parked my bike under the shelter and as soon as I stepped back under the small overhang to get moving again, the skies opened up and all I could hear was the sounds of an intense downpour. I could barely see out of the picnic shelter so I decided it was best to wait and watch the rainfall. About 10 minutes later, the torrential rain eased up so I made my move and started up again. As I continued along the water-logged trail, dodging massive puddles, the rain eventually stopped but the wind did not. 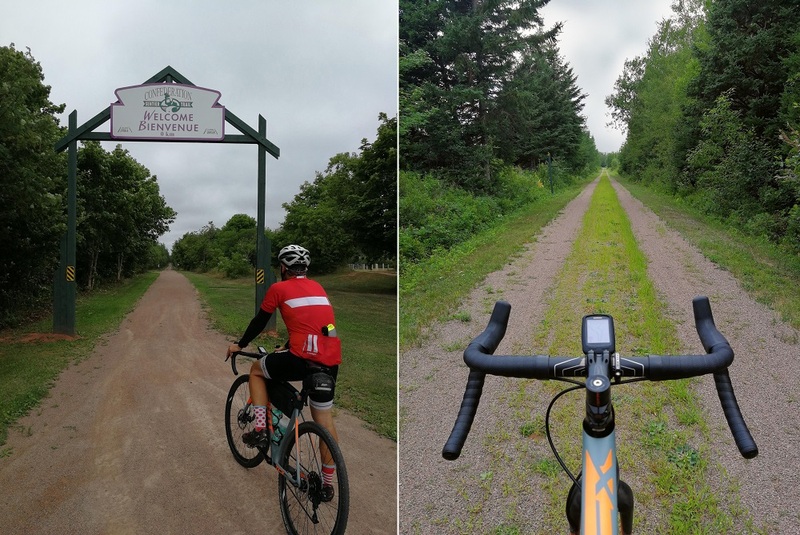 I headed toward Summerside and the trail remained much the same. I stopped and refuelled at a small convenience store. To be honest, I passed through so many small towns that I cannot remember where this first break was. More red gravel (which was starting to dry up), more gates, a little impromptu gravel race with a local teenager out with his friend, but not much else. 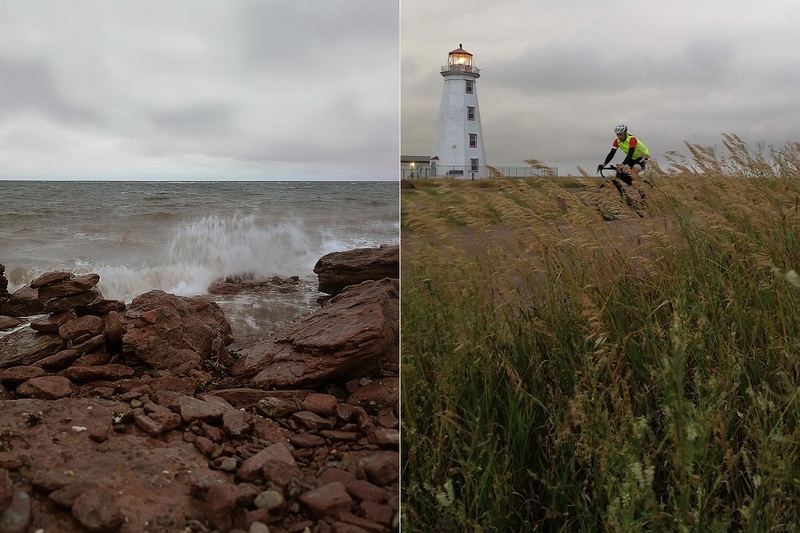 After 125km, and 5.5 hours on the bike the sun made its first (albeit brief) appearance as the trail opened up into the beautiful harbour town of Summerside PEI. After Summerside, the skies clouded over again with some occasional rain. I now had the pleasure of riding through the beautiful rolling hills of the interior of the island which was like nothing I’ve ever seen before, yet still felt so familiar. I stopped once again to refuel, buying myself a sandwich, a cookie and some more water. My wife brought the kids out to meet me at a road crossing near the cottage. Somehow we missed one another and I waited for them at the next road. To be honest, at that point I was wondering why I had decided to ride this trail, and on this day, but seeing the kids and sharing their energy and excitement gave me the push I needed to go on. I told them about the epic downpour I encountered and the beautiful scenery. I shared pieces of crumbled cookie with them - which they loved. After our short visit, I set off for the final 87 km and no sooner had I pulled away and they turned onto the highway, then my derailleur cable came loose. Luckily it was an easy fix. I spent a few minutes fixing that and enjoyed (sarcasm) the light rain. I finally arrived at my favourite section of the ride. It was scenic and beautiful and right near the seaside. This section leading from Morell into St. Peters Bay was simply amazing. I rolled along the ocean, ignoring the forceful crosswinds and sideways rain while taking in the scenery that you can’t find anywhere else in the world. In St. Peters Bay, my father-in-law, Kirk and Karen met up with me. Kirk had planned to ride the last 50km with me to help pull me along. The heavy cloud cover coupled with the thick forests was definitely making this a dark ride. I needed to turn on my light much sooner than I thought. Kirk was suffering from some asthma issues and ended up telling me to push on without him. (Edited to add: he later discovered his front brake had been rubbing for the past week and this was indeed the reason he suffered so much during our ride). He didn’t want to hold me up and to be quite honest, I wasn’t sure I could spend much more time in the saddle. I had been riding at this point for over 10 hours. The absolute best part of my ride was an encounter with an owl. It was dark and I was riding through yet another tunnel of trees. The branches were so thick that I couldn’t see the sky above me. An owl swooped out in front of me and flew, leading me home for about 500m. It was amazing. I met my wife who had driven to the trail end in Elmira. We took a few more photos, but honestly, it was so dark at this point taking pictures was difficult. We had anticipated beautiful photos at the end as the sun was setting but were given greyness. Kirk was only 10 minutes behind me at this point so I set out for the lighthouse at East Point to finish my ride. I had ridden to the literal end of the road and stopped when Kirk and Karen pulled up. Karen insisted on more photos and the scenery was beautiful, so I didn’t mind at all. 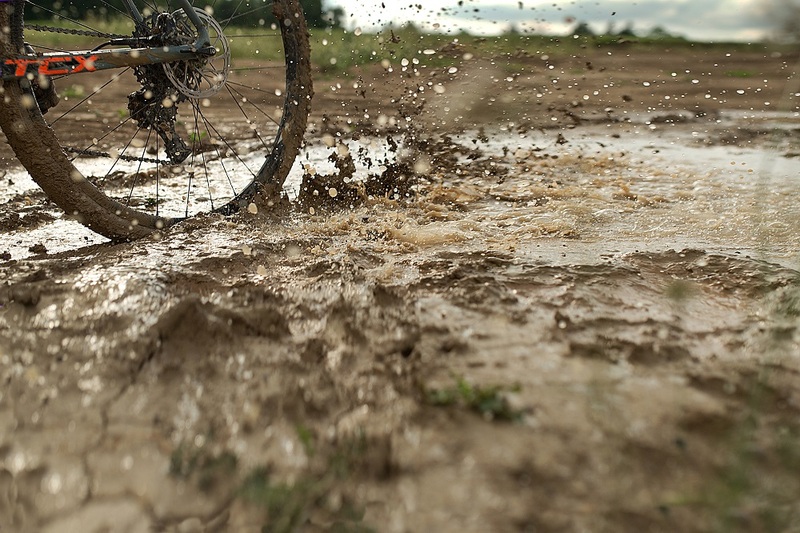 We packed up our muddy bikes and hit the road for the cottage. I sat in the back seat relaxing after my long day and dreaming about a pint of local PEI Brewing Co 1772. 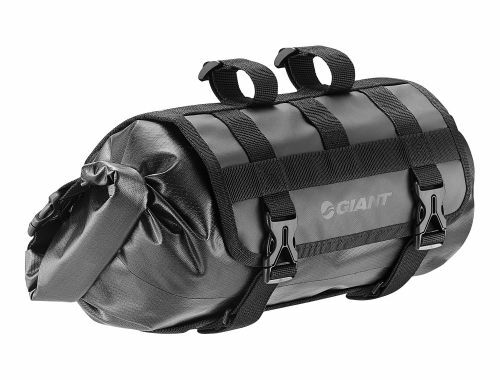 I’m an adventure seeking, espresso sipping, craft beer drinking cyclist from rural Ontario. It is without a doubt that I prefer life on two, human-powered and pedal driven wheels. 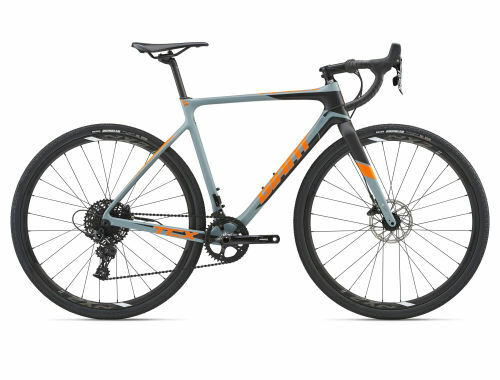 Whether it is exploring uncharted dirt roads on 40mm gravel tires, hitting hill repeats on skinny road bike tires, racing through the winter trails on the behemoth tires of a fat bike, or kicking up mud from knobby cyclocross tires - I love it all. I share my passion for cycling and adventure with my wife and three children as we explore roads, trails, and all of Canada together.